Sooo got those test taking blues? It’s the end of the semester and that means time for the end of semester finals. I have a couple of suggestions that might help de stress the situation! Fist of all, it’s always good to study and review for your finals. But, this doesn’t necessarily mean cramming. Review means to look over material you already know. So the night before finals is definitely not the time to learn new material. Trust me. You have enough on your plate to do and all you would be doing is just adding unnecessary work. Reviewing shouldn’t be just the night before finals. It should occur throughout the semester. This way, material stays fresh in your mind and it’s easier to remember. Of course everyone has those subjects that they despise or struggle in. And I do admit that I have troubles remembering information and retaining it. Especially when I don’t care about the subjects taught. That makes it really hard :/ So! We all have to work in improving our study habits. If the teacher allows the use if a notecard, TAKE ADVANTAGE OF THIS!!! Don’t just wait around for the formulas and words to come to your mind from 4 plus months ago! The notecard is there to be your crutch when you can’t remember something. Don’t use it as your test. This means that you shouldn’t solely rely on the notecard because chances are, you’re only going to have a few things on it that might be on the actual test. The notecard is not a replacement for reviewing!!! it should be there if you need it. But what should you put in the notecard?? The worry about notecard filling is that you will miss one small thing that might possibly slip your mind during the test or that might be on it. “If I don’t write everything down, I won’t get any questions right! !” Something like that? Well the sad reality is, if you go about it this way, chances are you spend too much time writing down everything that you already know, and may not know. You don’t get enough time to review the important things that you may be uneasy about, or don’t know as well. So, don’t write down everything. And plus, you would write so small that the words wouldn’t be discernible from each other. And, most obvious, not everything will fit. So rule of thumb, only write what you are SURE that you are UNSURE about. 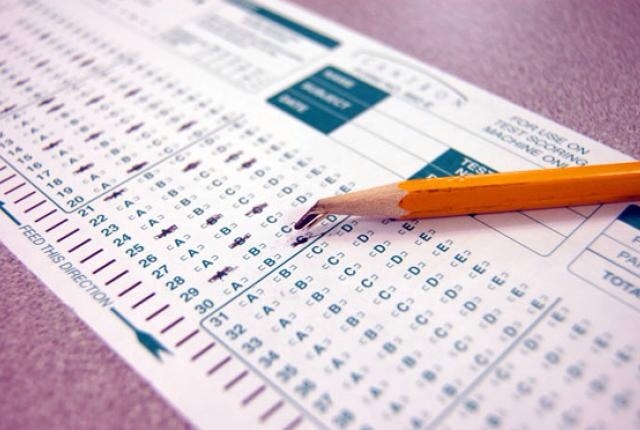 One thing to remember, is that we always think the tests are worse than they already are. And it’s true! Yes they might be challenging, especially since we have remember everything from the beginning of the year, but we always exaggerate in our minds how bad it really is. So, a good thing to do even before any test, is to relax. Take a deep breath and focus. It’s best not to stress about it because chances are, your going to do way better than you think. The mindset is half the battle! So keep your spirits high and believe that everything will be alright! Even though all these things might not work for everyone, it never hurts to try So good luck! And let me know how it goes! This all sounds like solid advice.